I kinda rolled my eyes when 2005 was proclaimed the best vintage ever in Bordeaux. Especially after saying the 2003 was the best ever, and the 2000 before that. Jesus! Three of the best vintages ever in the space of 5 years! It just sounded like greed to me. But after drinking 2005s from $15 to $100 I have to say I have now drunk the Kool-Aid on the 05 Bordeauxs. I also want to note that all of these are drinking great NOW. Yes, I would decant your trophy Bordeauxs, but I see no need to sit on them for 20 years. 2005 Chateau Lagarosse: Mostly Merlot with a dollop of Cab and Cab Franc, this is an uncomplicated, refined, and tasty red. Just plain good; perfect go-to for pizza and burgers. Or a pizza burger. 2005 Chateau Fleur de Fonplegade: A gorgeous red. This has the kind of elegance that drives me wild (in a wine). Also a testament to second labels and the quality and value you can get. 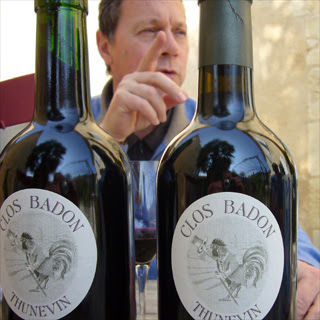 2005 Clos Badon Thunevin: The 2000 vintage of this wine opened my eyes (or rather, my taste buds) to the greatness of Bordeaux. (Thanks, Jeff.) I thought all Bordeauxs were searingly tannic and only enjoyed by pompous Brits calling it “claret”, postponing the gratification of enjoying them for decades of cellaring until they were brown and musty. Needless to say, I was a bit off the mark. 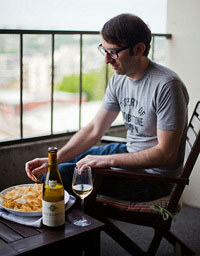 I was amazed at how elegant the wine was and how pleasant it was to enjoy it slowly over the course of a day. I was really impressed when the owner of a local distributor (who I never did business with) pulled it out of his bag. I was even moved to place an order.